Newegg has a deal that offers a smarter way to turn down the heat as we move from winter to spring. 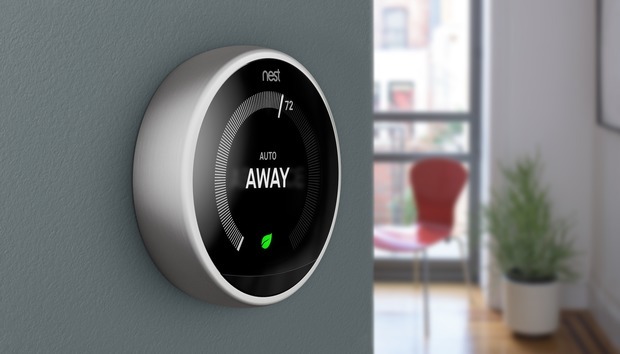 The online retailer is selling the third-generation Nest Learning Thermostat for $230. That’s $20 off the typical price you’ll find elsewhere, and though it’s not a huge price cut, we haven’t seen the Nest Thermostat on sale since Target’s 15 percent off coupon deal from last month and the holiday season prices before that. This third-gen Nest Thermostat features a larger LCD screen with a 2.08-inch diameter and 480-by-480 resolution, and comes packed with a variety of sensors to help monitor your home while you’re there or away. It also lights up when you enter a room using its Farsight technology, which can detect presence from farther away than previous models. This model is first of the Nest thermostats to get the furnace monitoring feature—Furnace Heads-Up—that can detect any problems with your system. It also has the usual features you’d expect from a Nest thermostat such as the ability to learn your habits to automatically adjust heating and cooling patterns, remote access from a smartphone app, and energy efficiency tracking. Newegg’s sale price lasts until Monday.